Every organization wants its donors to feel appreciated and to continue to give in the future. That’s why donor premiums (small gifts offered in exchange for donations) seem like a great way to acknowledge supporters and turn them into regular givers. Making donor premiums a productive part of your fundraising strategy, however, is not as simple as it may first seem. Here are a few useful dos and don’ts if you’re looking to experiment with donor premiums as a tool to boost online donations. Positive reinforcement generally strengthens a habit, so you would think that offering your donors rewards would only increase donations. Well, it turns out that’s not always the case. According to an article in Forbes that recounts the results of a Yale study published in the Journal of Economic Psychology, donor premiums may actually decrease charitable giving. This doesn’t necessarily mean that you should do away with donor premiums completely, but there are several factors you should consider when planning any premium campaigns. One of the key findings of the Yale study was that a premium offer from a nonprofit can create a feeling of selfishness in the donor that diminishes feelings of altruism. When a donor is considering making a gift to your organization and at the same time is thinking of benefiting him or herself (with the premium) the selfish motivation can wind up “crowding out” the altruistic one. And when that element of selfishness is introduced, the average donation size tends to shrink. Many donors also see premiums as a waste of funds. If they donate $30 and your organization then sends them a $5 coffee mug, they may see it as $5 of their donation being diverted from its intended purpose. There is, however, a way to offset the crowding out effect that premiums can create. The Yale study found that when the premium was presented as beneficial to the cause itself, there was no reduction in gift size. For example, instead of saying “If you donate, you’ll get a complimentary bumper sticker,” you could try to frame the premium as an opportunity for the donor to help spread awareness of the cause. Explain to the recipient that the bumper sticker, coffee mug, or tote bag can be used to start a conversation with someone who might be interested in supporting the cause. By framing the premium as furthering your cause, the donor can enjoy the gift and will be encouraged to be an advocate for your organization. It’s also important to note that the crowding out effect was observed when the premium was offered up front as an inducement to make a donation. The data from this study doesn’t make the case against sending gifts to donors after the fact. Since an unanticipated “thank you” gift cannot create a feeling of selfishness at the point of the decision to donate, it presumably could not crowd out altruistic feelings. Although there still is the chance that some donors might see these thank you gifts as wasteful. This best practice comes courtesy of M+R Research Strategic Services. They’ve found that premiums tend to be most effective for non-donors and, in some cases, lapsed donors. And this makes sense. Premiums are generally used to boost acquisition by “sweetening the deal” so to speak. For your existing, active donors there’s less of a reason to make a special offer because they are already engaged! The detrimental effect of premiums described in the Yale study was observed when the premium was offered at the time of the donation and then sent after the donation was completed. The results were different, however, for front-end premiums (gifts sent upfront with the actual solicitation). Do you have a drawer full of address labels from various nonprofits at home? Many people do because direct mail campaigns with front-end premiums tend to elicit more responses than those without them. Reciprocity is the psychological principle behind this strategy. When receiving a gift, even a small one, people feel inclined to give back. They can’t help but want to return the favor. When it comes to online giving, you obviously aren’t going to be able to deliver a tangible product at the same time that your e-mail solicitations arrive in people’s inboxes, but you can still experiment with this technique. We’ve seen different organizations offer informational “e-books” and studies as back-end premiums for online donations. You could easily experiment with offering info-products like these as front-end premiums that go out with your email appeals. For example, if you are a cancer charity you might send out a free informational e-book on best practices for early detection as a complimentary gift along with your next email appeal. This would allow you to further your purpose of spreading education and awareness while at the same time testing out the impact a front-end premium might have on the success of the underlying appeal. Best practices are great, but they’re no substitute for hard data unique to your organization. 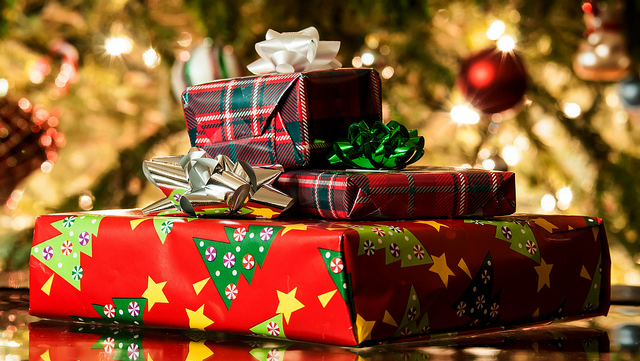 While the Yale study referenced in Forbes explained how back-end premiums (if they aren’t framed correctly) can have negative impacts on average gift size, there is conflicting information out there. An earlier analysis of premiums conduct by M+R Strategic Services showed benefits accruing from the use of back-end premiums. The study was conducted on end of the year email appeals sent by four large nonprofits to prospective donors. Two of the four organizations that participated saw significant increases in both response rate and average gift size when premiums were used. The other two saw a significant increase in either response rate or average gift size. The point is that while it pays to be aware of macro-trends, ultimately the data you should adhere to most closely is your own internal testing. This is another very useful nugget from M+R. Always offer an opt-out with any premiums you are testing. Some donors just don’t like them. Plus, giving people the chance to say no to receiving the gift will only work to lower your cost as an organization. It can be helpful to experiment with premium strategies to help boost online donor acquisition, but there are limitations on the utility of this tool. While premiums may be useful in some cases for boosting engagement with specific email appeals, it’s important to recognize that long term retention and donor satisfaction depend upon more fundamental elements like communication and relationship building. The 2011 Cygnus Donor Survey found that the primary factors that influenced donors to give repeatedly over time were “reputation and trustworthiness” and “achieving and communicating measurable results.” The survey further explained that “[w]hen communications to donors prioritize measurable results and are written in a compelling fashion, donor retention and gift value tend to rise.” In other words, as nice as it is to experiment with techniques like donor premiums, you should also keep in mind that they are just one small piece of the pie. Ultimately donors want to know that their gifts are producing tangible results. So show them what their donations have helped your organization accomplish!